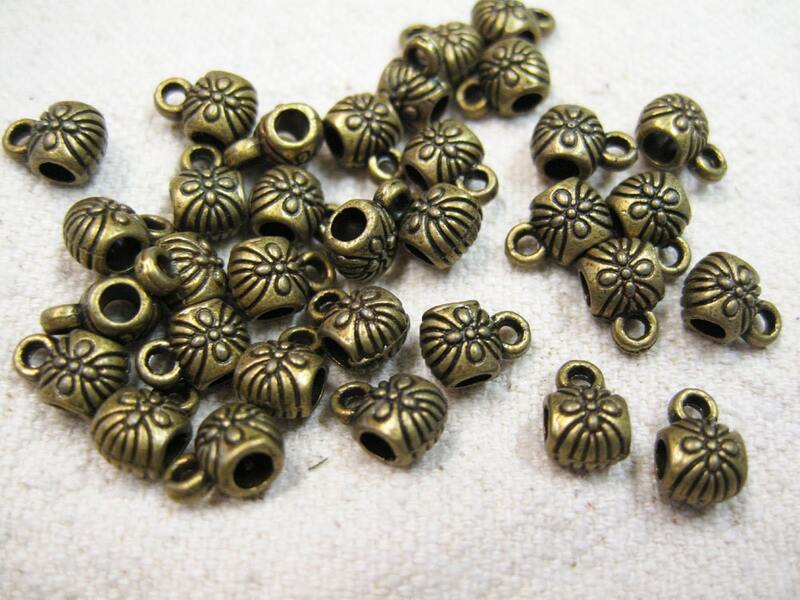 20 antique bronze plated zinc metal alloy flower pattern bail beads or charm holders, 9mm x 6mm. 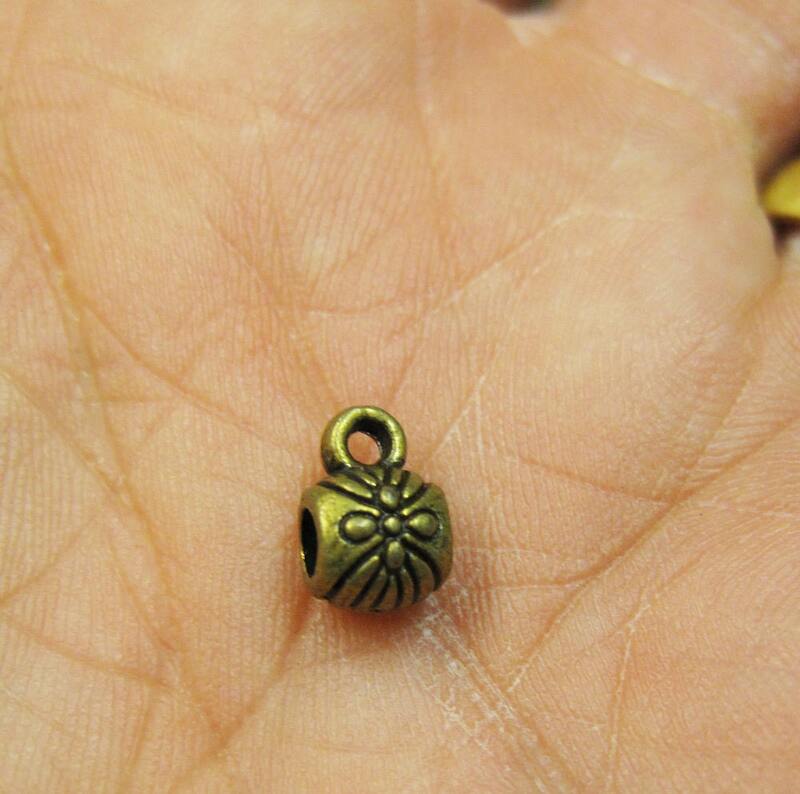 These are wonderful for adding alongside other beads and dropping charms from the loops. Hole size 2.8mm. Lead and nickel free. Very nice beads. Fast shipping. Thanks for the free gift.